Bruce Jenner's fist wife initially found his situation hard to wrap her head around. The former Olympian was married to Chrystie Crownover from 1972 to 1981, and they have children Burt and Cassandra together. Bruce told his new wife early on in their marriage that he identified as a woman, but Chrystie reveals it didn't have an impact on the relationship. "Understandably, I was speechless," Chrystie told Good Morning America. "I didn't really know what to say. I was really pleased that he shared that intimacy with me, that he trusted me with his deepest darkest secret. "It's so hard to wrap your head around it, particularly because he was such a manly man and he didn't display any female style in any way. He never indicated anything feminine in his demeanour... It didn't threaten me, it didn't threaten our marriage, it wasn't really a threat... It wasn't a problem." 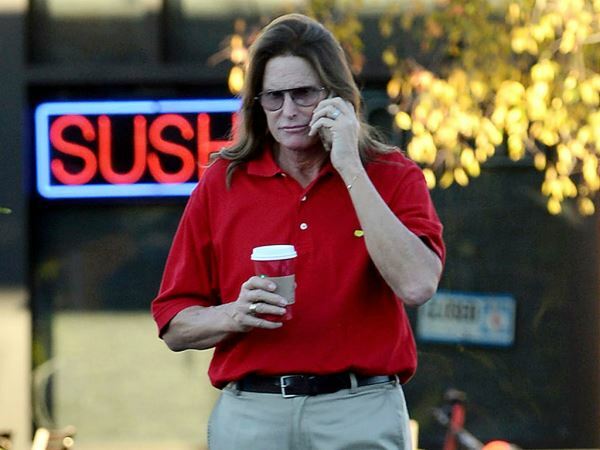 Speculation surrounding Bruce's gender preference has been rife since 2013, and he finally admitted that he was transitioning to become a woman in an explosive interview with Diane Sawyer, which aired last Friday. "[It] was kind of surreal. It was great because the family was together and that's what I'm most proud of," Chrystie smiled. "I know it's been painful for him. I know it's been a torment in his life." After the interview was shown, Bruce's family flocked to Twitter to support him. There have been numerous reports that his third wife Kris Jenner was livid with ABC for including that she had no comment on the situation, and also rumours that she feels publically humiliated. But her social media accounts tell another story. "Not only was I able to call him my husband for 25 years and father of my children, I am now able to call him my hero (sic)," she shared with her 5.3million followers. Bruce's famous daughters Kylie and Kendall, and step kids Kim, Khloé, Kourtney and Rob Kardashian all publically shared their pride as well.